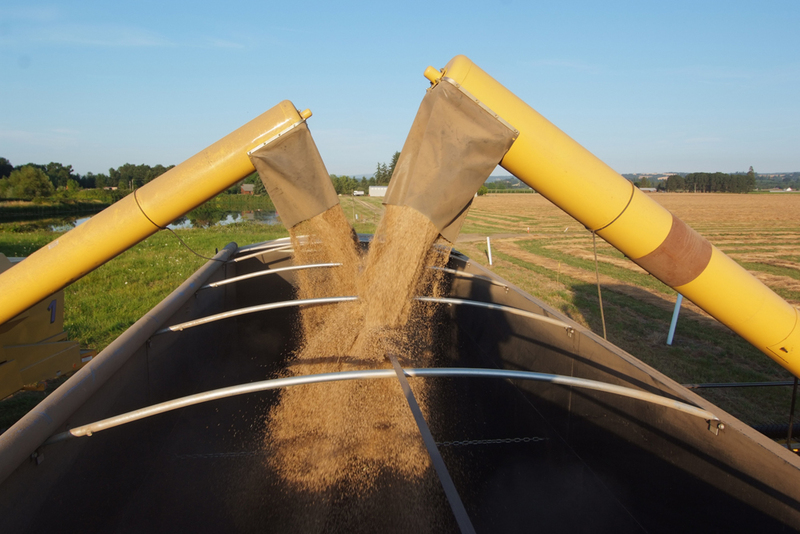 The Oregon grass seed industry annually drives more than $1 billion in economic activity in Oregon through direct sales and through its impact on support industries. Among Oregon agricultural commodities, grass seed ranked fifth in 2015 with $383 million in direct sales. Legume and specialty seed farm gate value is estimated to be in excess of $100 million annually. In export value, grass seed ranked second with $331.5 million in sales. The industry employs about 10,000 Oregonians and is serviced by crop production companies, researchers, equipment dealers, seed technicians, transport companies and other operations. Straw farmers bale the residue left after harvest and sell it as feed to beef and dairy producers in Asia. Straw companies export more than 600,000 tons of straw each year across the Pacific Ocean, which represented the largest bulk commodity moved each year out of the Port of Portland. Screenings removed during seed cleaning often are pelletized and sold as feed supplements.